To a lot of people, dandelions are annoying weeds. But they are actually nutrient-rich and very delicious when included in salads, syrups, wines, and other dishes. 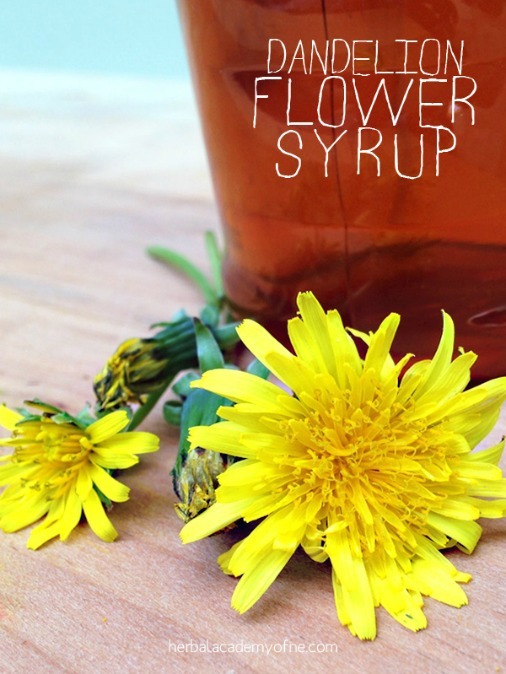 This is Christina’s recipe for Dandelion Flower Syrup. She explains how to create an infusion using unsprayed dandelions. The infused water is combined with sugar, honey and other ingredients, to make the final syrup. You can use it on pancakes, waffles, ice cream etc. Very nice recipe. Click on the Sweeten Your Breakfast With Dandelion Flower Syrup link below to see the complete recipe. ALSO – If you would like to learn more about herbalism, check out this Introductory Herbal Course. It’s online, you can learn at your own speed, and it’s inexpensive!